Carnation Auto Blog: Carver One - A Car or A Bike or Pure Innovation? Carver One - A Car or A Bike or Pure Innovation? Ok, let's play a guessing game. In the picture below, can you make out if it's a car, a bike, or...? No! It's tricky right. It looks like a bike, well sort of, but it's covered, so it could be a car as well. Actually, this three-wheeler (and thank God it's not similar to the ones in our country) is an interesting contraption created by a European Company. 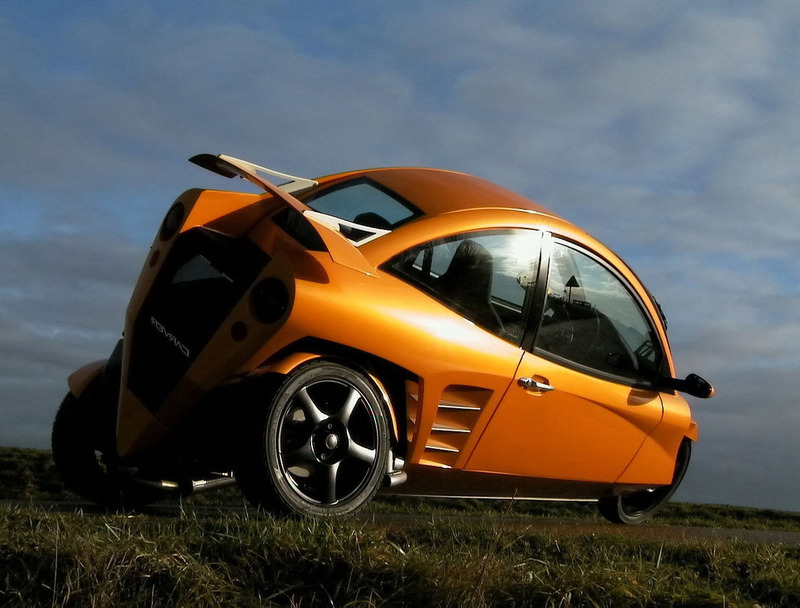 This curious vehicle is called Carver One and is designed with ingenuity. Providing comfort of a car, the Carver One can corner the roads with the agility of a motorcycle. Sitting in a single file, the occupants are covered by the cockpit cover and the driver, who sits at the helm, steers the vehicle much like a car. So if one is driving the Carver One on a straight road, this contraption will drive as any regular car. 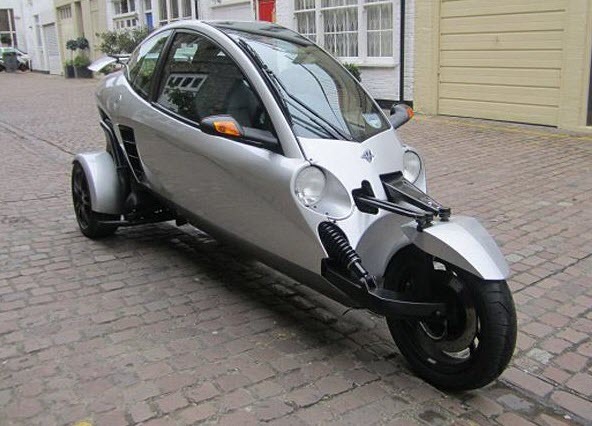 But the Carver takes the turns like a regular motorcycle, despite the fact that it is fitted with three wheels, one in the front and two at the rear. The front wheel assembly can incline up to a maximum 45 degrees, though this angle is mechanically determined as per the steering input from the one driving the Carver One. Both, the 700cc, 4-cylinder engine that churns out 68HP of power, and the transmission are fixed to the rear axle. Weighing just around 670 kgs, the Carver One can sprint to 100 kmph in a fairly decent 8.2 seconds and can achieve a top-speed of 185kmph. The Carver One may never actually be available for sale in the world (including India) because the manufacturer Carver Europe declared bankruptcy in 2009 and ceased production as well as sales. As of 2011, this technology is owned by Carver Technology. While the Carver One made it's international debut in 2007 at the Geneva Motor Show, it was also tested by several celebrities including Jenson Button. Button's Video (Sourced from YouTube) is below. Watch it and enjoy.